Price on request. In stock. The method of the new medical device, microwave radiometry, is based on measuring of the intensity of natural electromagnetic radiation from patient's tissue at IR and microwave frequencies. This intensity is proportional to the temperature of tissue. The changes in temperature (thermal abnormality), that are the basis of early detection of the cell proliferation (doubling time) in different organs, which is typical for cancer, are caused by increased cancer cell metabolism. It should be noted that thermal changes precede the anatomical changes that can be detected by traditional methods such as ultrasound, rtg-mammography, CT, MRI and palpation. Thus, microwave radiometry is a very promising method for the breast and other organ cancer detection at the preclinical stage. Microwave Radiometry is based on measuring the intensity of natural electromagnetic radiation from a patient's tissue at IR and microwave frequencies. This intensity is proportional to the temperature of tissue. So we can say that microwave radiometry allows to measure the internal temperature and display it on the monitor. The main difference between widely used infrared thermography and microwave radiometry is that the former allows first to read and display the skin temperature, secondly it indicates the internal temperature of tissue. Measurement by microwave radiometry is harmless both to the patients and to the medical staff. 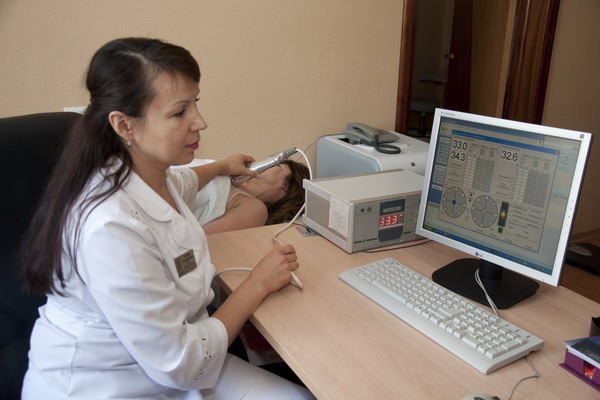 During the examination the intensity of natural electromagnetic radiation from the patient's tissue is measured. Thermal changes precede anatomical changes that can be detected by traditional methods such as ultrasound, mammography and palpation. Therefore is microwave radiometry a very promising method for the breast cancer detection at an earlier stage of the progress of cancer. Clinical trials showed that in some cases (cancer with short doubling time DT) can be observed approximately 2-5 years before entering the clinical stage of progress. 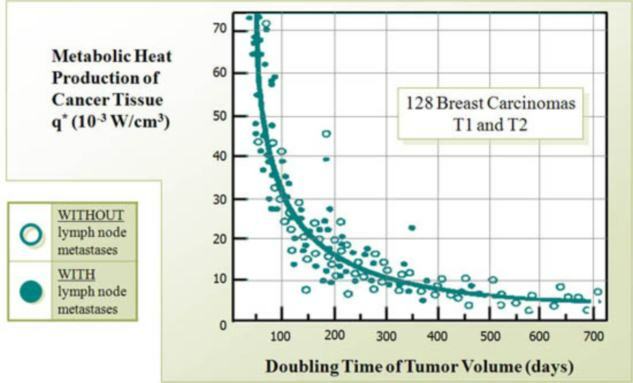 The specific heat generation in the tumor is proportional to the grow rate of the tumor. Therefore the fast growing tumors are "hotter" and they are more contrasting in thermograms. 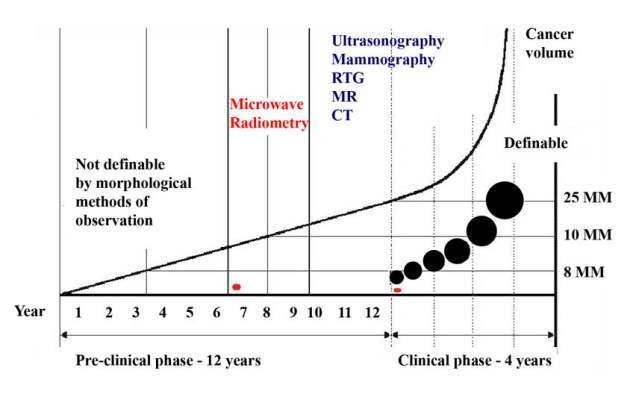 Microwave radiometry is an unique method that allows to detect first of all fast growing tumors. Using microwave radiometry (RTM-Diagnosis) in conjunction with other traditional methods allows selecting patients with fast growing tumors. The important feature of the microwave radiometry is that it can distinguish proliferative mastopathy and fibroadenoma from non-proliferative mastopathy and fibroadenoma. So the method allows to select patients with risk of breast cancer occurrence. Microwave Radiometry can be effectively used for the monitoring of the treatment, especially for the patients with cancer or inflammations of different organs. Complete set "Multifunction diagnostic microwave radiometry"
Wireless sensor (dual band) with an antenna applicator. Infrared sensor surface temperature with LED sighting. 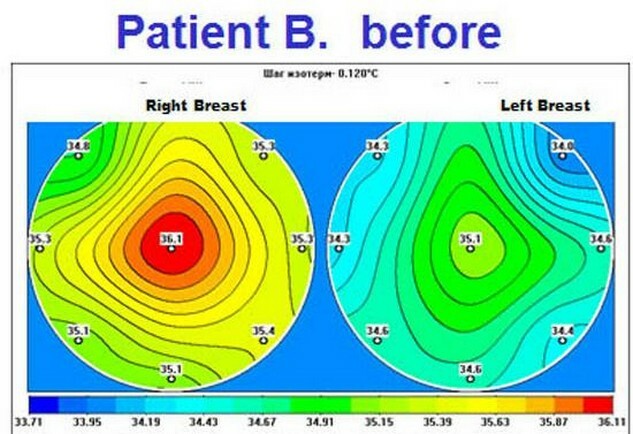 pattern (subprogram) breast examination with an expert system for evaluation of thermal activity of the mammary glands. 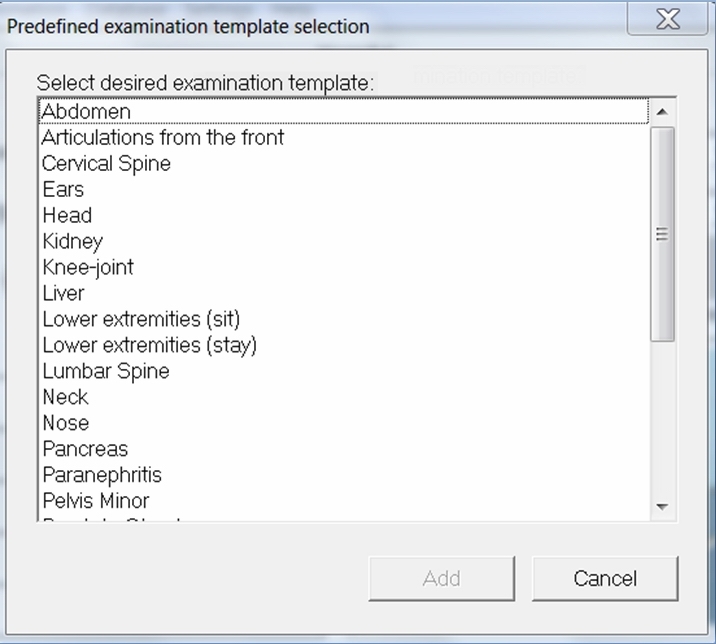 patterns (subprograms) program "RTM-Diagnosis" for wireless sensor: thyroid, pelvis, spine, kidneys, and others. patterns (subprogram) for the infrared sensor skin. PC with color LCD monitor. Software: Windows, Open Office, Adobe Reader. Interface cables to connect the information processing unit to the PC. Delivery time - within 40 calendar days after payment. Delivery and installation in the premises of the Customer under a separate contract. Training of two specialists of the Customer for 4 days at the training center in Moscow, . Updating the software during the warranty period.